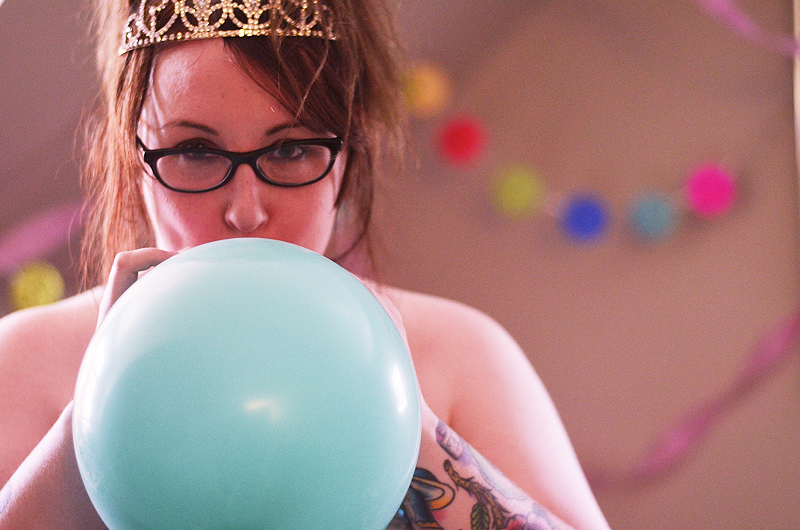 This is a memoir novella about a woman with an addiction, a mental illness & a feminist identity. This is the story of one woman's journey from anxiety-ridden child to delinquent teenager to divorced alcoholic & how she turned all those years of experience into a beautiful existence. 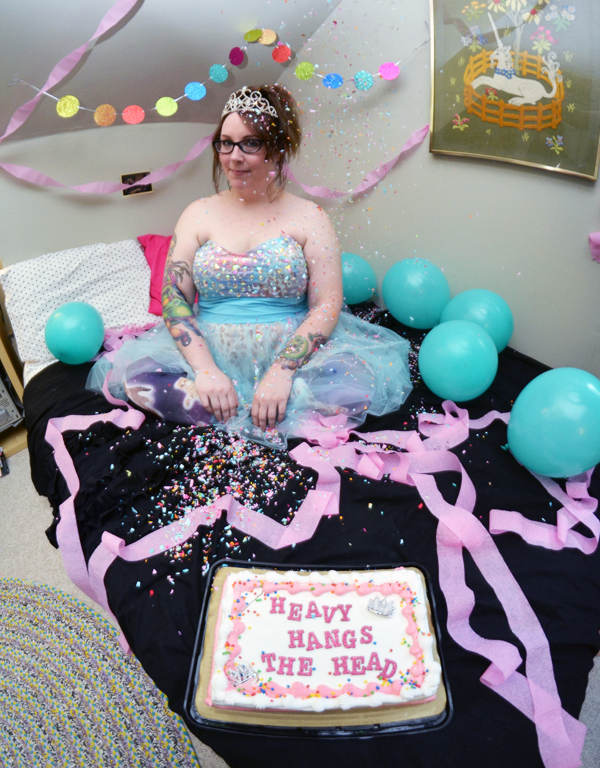 Heavy Hangs the Head is the story of the first thirty-four years of my life which included losing a parent, losing myself, losing everything & fighting back with the help of a community I didn't realize I had. It's about falling in love & getting hurt, falling apart & getting back up. Heavy Hangs the Head is my journey towards learning to overcome the things that hold me back & accepting that sometimes, it's ok to not move at all. This book is for my sisters. Thank you to my parents, David Cherasaro, Lisa Congdon, Sage Adderley, Kimya Dawson, John Berry, Jennifer Hipp, Veronica Schoor, Daniel School, Aurora Lady, Nichole Musser, Kellee and Matt Milner, & Jaime Morgan. Photos from the book release party at the Wooden Shoe can be viewed here. If you are interested in carrying Heavy Hangs the Head at your book shop or distro, please get in touch.